The most crucial game of the last round was the first loss of Sol de America (3-1) in Asuncion on Thursday night. Hosts were rolled over by Olimpia (5-0) 94-64. It ended at the same time the three-game winning streak of Sol de America. Undefeated Olimpia have an impressive series of five victories in a row. Defending champion maintains first place with 5-0 record. Sol de America at the other side keeps the third position with one game lost. Olimpia are looking forward to face Campo Alto (#6) in the next round which should be theoretically another easy game. Sol de America will have a break next round. Bottom-ranked Felix Perez is still unable to win any game. This time they could not use their home court advantage losing their fourth consecutive match to fifth ranked Libertad (2-2) 74-52. Libertad moved-up to fourth place, which they share with Campo Alto and Luqueno. Felix Perez lost their fourth game in a row. They still close the standings with four games lost. They share the position with Dep.Internac.. Libertad will play against Luqueno (#4) at home in the next round. Felix Perez will play against Ciudad Nueva (#7) and hopes to get finally their first victory. Bottom-ranked Dep.Internac. is still unable to win any game. This time they lost on the road their fourth consecutive match to sixth ranked Luqueno (2-2) 107-86 on Thursday evening. Luqueno moved-up to fourth place, which they share with Campo Alto and Libertad. Dep.Internac. lost their fourth game in a row. They still close the standings with four games lost. They share the position with Felix Perez. Luqueno will meet Libertad (#5) in the next round. Dep.Internac. will play against the league's second-placed San Jose in Asuncion and looks forward to get finally their first victory. The game in supposed to be also worth to mention about. 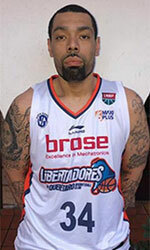 Leader San Jose (4-0) played at the court of 7th ranked Ciudad Nueva (1-4). San Jose smashed Ciudad Nueva 106-56. The victory was the fourth consecutive win for San Jose. 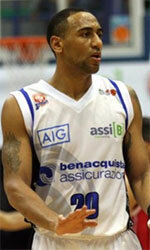 They maintain second place with 4-0 record having just four point less than leader Olimpia. Ciudad Nueva lost their third game in a row. They keep the seventh position with four games lost. San Jose's next round opponent will be Dep.Internac. (#8) which should be theoretically another easy game. Ciudad Nueva will play against Felix Perez in Asuncion and it may be a tough game between close rivals. The most crucial game of the last round was the first loss of undefeated Sol de America (3-1) in Asuncion on Thursday night. Hosts were rolled over by Olimpia (5-0) 94-64. It ended at the same time the three-game winning streak of Sol de America. Olimpia have an impressive series of five victories in a row. Defending champion maintains first place with 5-0 record. Sol de America at the other side keeps the third position with one game lost. Olimpia are looking forward to face Campo Alto (#6) in the next round which should be theoretically another easy game. Sol de America will have a break next round.